Traditionally, gas cylinders have been the most prevalent source of gas supply for laboratory applications. Despite the significant safety concerns that come with storing and handling explosive, toxic, or flammable gas cylinders where a 2000 psi cylinder can quickly turn into a projectile, along with the multiple inconveniences associated with managing and storing these cylinders – they still remain the preferred comfortable choice amongst analytical laboratories. Gas generators, on the other hand, provide a continuous supply of high purity gas without the danger or operational disturbances. They remove the chances of unexpectedly running out of gas in the middle of analysis, as gas cylinders might. In this article, we’ll highlight how straightforward it is to switch to the latest generation of gas generators and the consequential benefits of doing so. What’s So Concerning About Cylinders? Gas cylinders are large, extremely heavy pressure vessels that need to be brought in and out of the lab or to a central supply area, on a consistent basis because of their restricted supply. This sets the scene for some potentially serious hazards such as a cylinder being dropped and injuring an employee, or the impact of a cylinder explosion or abrupt release of compressed gas. What also accompanies the use of gas cylinders in laboratories is the delivery scheduling, management, and maintenance costs associated with upkeep. Beyond this challenge, the physical act of swapping out cylinders creates the potential for air impurities to penetrate the analytical instrument being utilized. If this happens, laboratory operations come to a halt while the problem is rectified with new cylinders being ordered and switched over. Once delivered, many chromatographers have said that it can take anywhere from 30 minutes to 4 hours to complete a cylinder change-over and recover a baseline. In a gas chromatography system, the compressed gas cylinders are used to maintain stream purity. But apart from the potential of contaminants being introduced following a cylinder change-out, cylinders can contain impurities of their own because some of those supplied by manufacturers have been known to host preexistent contaminants or retain residual gases or hydrocarbons from prior use, therefore, producing an out-of-tolerance mixture for the next user. Gas cylinders can also occasionally run dry, causing moist air to flow back into the cylinder which then leads to corrosion. This corrosion is then released back into the cylinder gases. 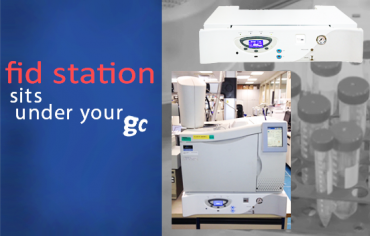 Any of these instances can result in a low purity gas that will dramatically shorten the lifespan of your analytical instrument or column, and significantly impact the chromatographic performance as well as the test results. On average, laboratories are spending between $8,000 and $12,000 a year on gas cylinders. These figures are outside of maintenance costs associated with upkeep, or personnel for special safe handling. What is attributed to the majority of these costs? Apart from the general price of gas cylinders which is recurrent based on usage requirements (and subject to market increases) factors such as managing frequent deliveries to suit your operations, rental fees, contract negotiations and safe storage components also play a huge part. The latest generation of analytical gas generators reliably and consistently supply high levels of pure gases at flow rates based on the application directive and instruments being used. These compact units take just minutes after being started to reach 100 psi and will resume uninterrupted service to effectively eliminate any unplanned downtime. 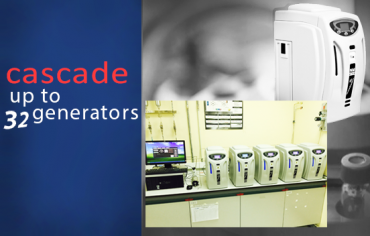 Typical usage for gas generators includes gas chromatographic detectors such as FID, NPD, FPD and TCD, and as a reagent gas for ELCD and HALL. Gas generators that produce hydrogen do so through the process of electrolytic disassociation of hydrogen from water. VICI DBS gas generators are compact enough that they can be installed right by your GC instrument, which permits you to reduce the length of your stainless steel or analytical grade copper gas lines used to supply the hydrogen gas to your GC. This means there’s less maintenance required and less likelihood of gas generation failure or safety concerns associated with leaks in the lines. Hydrogen gas generators require little maintenance (the only requirement of the latest models is to change the water filter one to two times per year). With these gas generators, not only are laboratories experiencing the convenience of gas being produced on demand, but also the gas is at consistent high purity levels of grade 6 or 7. Time is reclaimed and productivity increased by eliminating gas cylinder deliveries and empty cylinder collections from busy work schedules. Operational costs are reduced which becomes a generous payback for facilities for implementing simple sustainable laboratory practices. This risk is eliminated with gas generators, which have only 50 ml of stored gas – at a maximum of around 5 times atmospheric pressure (versus a gas cylinder which will contain gas at a pressure of around 200 to 300 times atmospheric pressure). In contrast to the recurring costs associated with gas cylinders, gas generators render substantial ongoing savings. 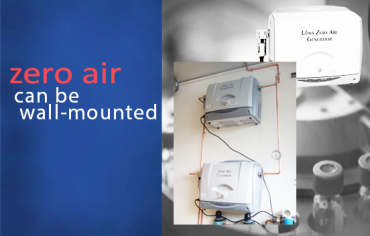 A cost-effective yet modern and feature-rich gas generator unit should allow you to see a return on your investment in as little as 6 to 2 months. As easy as plug & play. 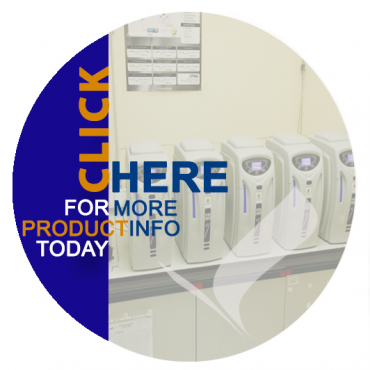 Installing a gas generator is uncomplicated and once situated in the laboratory, requires only electricity and deionized water to produce consistently high purity gas suitable for supplying highly sensitive analytical instruments. Today’s most advanced generators on the market will even accept distilled water. Hydrogen gas generators with 99.9999% purity, for all GC detector and carrier gas applications are available in a flat, horizontal style for placement under a GC or in a tower style to conserve bench space. The finest gas generators on the market also come with alarm capabilities and software control to automate your gas supplies onsite. Therefore, these generators have a very small carbon footprint when compared to cylinders which also need to be repeatedly transported to and from the laboratory because of their fixed capacity. Replacing gas cylinders with a gas generator eliminates the multiple safety risks associated with storing gas bottles in your laboratory. The added convenience of utilizing a gas generator to provide a consistently high purity flow of gas for analytical applications at high volumes without risking the safety of workers will substantially improve and enhance laboratory operations. As facilities start to move more towards a reduction in footprint with environmentally friendly and energy efficient equipment, it’s expected we’ll see a larger uptake of gas generators versus gas cylinders. Because laboratory spaces are becoming increasingly expensive to build out and maintain, more emphasis will be placed on effective processes with minimal cost requirements and downtime. Units with convenient design options and featuring the ability to produce hydrogen gas and zero air all within the one unit have already started making a presence in existing labs and will be even more prevalent in the labs of the future. CSA certified, VICI DBS gas generators are engineered in Switzerland, and feature all the quality attributed to a European manufactured product all at a significantly lower cost when compared to the competition. VICI DBS has been specializing in the design, development, and manufacture of products and accessories for analytical instruments since 1985. Their innovative gas generators have been developed using microprocessor control and patented designs to create products that have become the leading exemplar of contemporary and reliable hydrogen, nitrogen and zero air generators amongst their kind. STEQ America is proud to be VICI DBS’s official partner, offering these products and support services to our customers in the U.S.